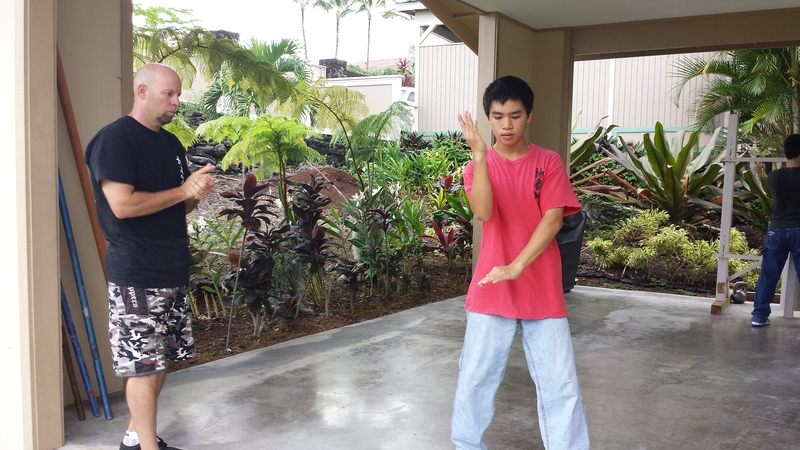 Pacific Wing Chun Kung Fu Association now holding classes in North Hawaii Island. 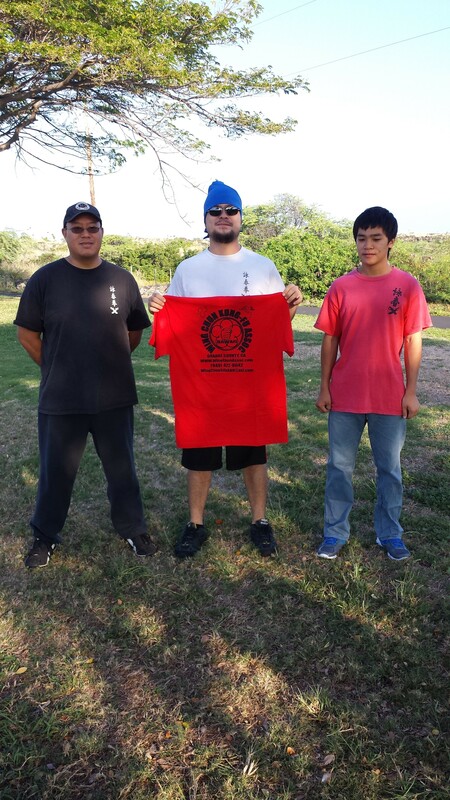 Pacific Wing Chun Kung Fu Association will now also be holding classes in North Hawaii Island, Waimea, and Honoka’a under the tutelage of Sifu Mike Pollard. Sifu Mike is a certified graduate under Sifu Lawrence Ramirez whom is from the Orange County Wing Chun Kung Fu Association, Hawaii Wing Chun Association families. Having previous martial arts background, being a super fit Hawaiian waterman and his unrelenting dedication to studying the Wing Chun system, has helped enhance Sifu Mikes Wing Chun Kung Fu to a level which has earned him respect and certification within our family. I know his students will be of the highest caliber and receive the best training under Sifu Mike. Train Hard, Keep the Traditions! 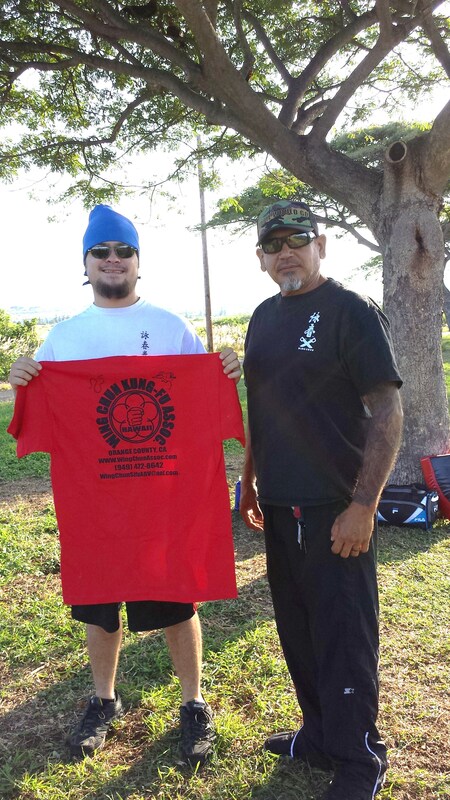 Mike Pollard awarded Black Shirt Instructor Level at Pacific Wing Chun Kung Fu Association, Kailua Kona, Hawaii. Sifu Lawrence Ramirez presents Mike Pollard with his Black Shirt at Pacific Wing Chun Kung Fu Association in Kailua Kona, Hawaii. 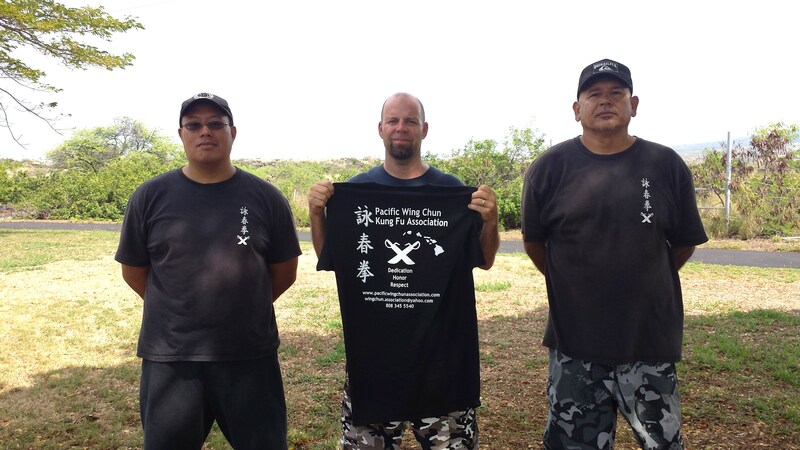 Mike Pollard awarded Black Shirt Instructor Level at Pacific Wing Chun Kung Fu Association, Kailua Kona, Hawaii. I would like to thank Mike for his years of dedication in studying with us here at Pacific Wing Chun Kung Fu Association. I know you will keep the Traditions and honor our Wing Chun Family always! Aloha and Much Respect lrs! 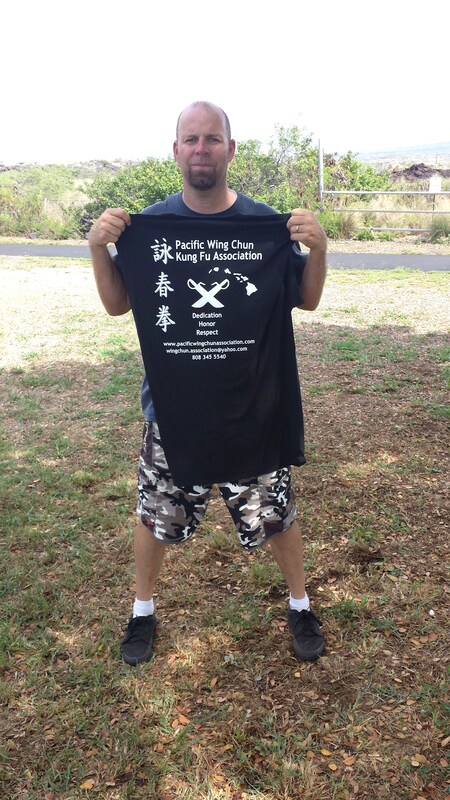 Mike Pollard has been awarded a Black Sash at Pacific Wing Chun Kung Fu Kailua Kona, Hawaii. Mike Pollard has been awarded a Black Sash at Pacific Wing Chun Kung Fu Association Kailua Kona, Hawaii. Solid day of testing Chi Sao and Intercepting skill. Please congratulate Mike Pollard he has been awarded a Black Sash for his hard work and dedication in study and practice. He has the skill of a warrior and will continue his testing this month for his certification as an Instructor of Wing Chun Kung Fu. Great job Mike see at this weekends session! Aloha and Much Respect Everybody! From everyone here at Pacific Wing Chun Congratulations Quinn earning the White Shirt for preforming Siu Nim Tao. From everyone here at Pacific Wing Chun Congratulations Quinn earning the White Shirt for preforming Siu Nim Tao. I would like to let everyone know Quinn has been with us for a little under three weeks. His natural skill and abilities will help him progress quickly and with a little more time I know his Kung Fu will grow strong and root deeply within his life and this Wing Chun family. Pacific Wing Chun Association welcomes Sifu Scott Cannam. The concepts of structured movement, economy of motion and dedication to understanding these concepts is key within the Wing Chun Kung Fu System. Wing Chun is a Martial Arts System that entails the study of body structure, structured coordinated refined movement, and the understanding of hand and weapon form. The techniques within the system are not easily taught alone without the student having an understanding of structured movement of a body that has been trained to respond to attack with applied concepts and muscle memory trained reflexes. These are movement and concepts that are not easily learned from books or video, nor can one person transmit this knowledge to another by shear explanation alone. The practitioner has to put in the time and dedicate themselves to understanding and practice enough to be able to apply these concept competently. From day one it usually takes a practitioner three to six months to develop enough reflex and understanding of structure to utilize some technique competently . Progress will come to those whom are dedicated to practice, and have understanding of how to practically apply particular techniques. Many portions of the system will become second nature to the practitioner as they practice and from this practice comes muscle memory reflex in applying technique when attacked or provoked. As more of the system is studied, the practitioner advances and is introduced to new technique and the second and third hand forms they must also also keep in mind and adhere to basic structural and theoretic principles that are inherent to the Wing Chun System. The Wing Chun System requires one to be dedicated in study and practice to be proficient, those whom are dedicated to practice, study and application of the system will attain a certain level of mastery.